The Arrival of a Pegasus Delegation! During the following days, the presence of the Stellar Nation of the Pegasus – which spiritually guided the year 2013 – will return to us for some days, as between 28 March and 2 April, the stellar ray of Algenib opens its gate through the sacral sphere of the Sun to allow a Pegasus delegation to enter the sphere of the Earth and pass us the Celestial messages they have been entrusted with. Algenib represents a wonderful gate of returning home on the stellar pathway of the Pegasus and it can recall that intimate feeling of home, which we can mainly feel by the message of our stellar homes. 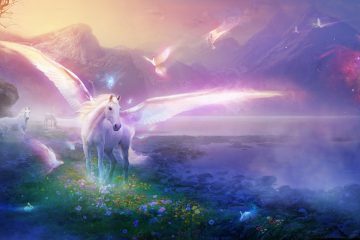 The arriving Pegasus messengers can be the heralds of the current packages of light and teaching codes, which the initiating year of the Stellar Nation of the Dolphins presents us. And as we know, our actual life and the great mystery play it contains means the mirror, that sensitive and dynamic surface, where the message can come to life to teach us through experiencing. So it is certainly useful to attend the following days with a special awareness and an open heart in order to follow the little signs that emerge in our body, emotional body and on the level of our relationship, so that we may be healed further on through our recognitions. 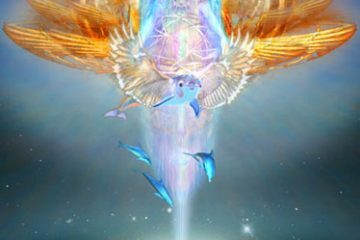 On the other hand, The beautiful star of Algenib is connected to the pathway of the Stellar Nation of the Whales as well, as a magical Celestial location where the Mystery of the Redemption can be completed and the wonderful figure of the onetime angel being can finally be freed from the shelter of the whale body and rise on its wings again. 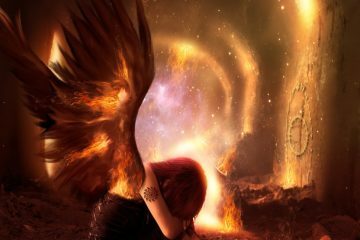 During these days, there will certainly be an even greater heavenly support and merciful energy present in the angelic story described in the galactic history of the Stellar Nation of the Whales, too. Image by Jim Warren, many thanks to the artist!